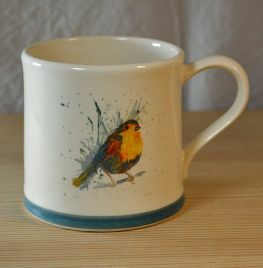 Katherine Williams 250ml mug with Highland Bird. 250ml mug with with Highland Bird printed design. From designer Katherine Williams. Perfect as a gift along with the Highland Stag version and a coffee making device! Head to our devices section. Dishwasher & microwave safe.